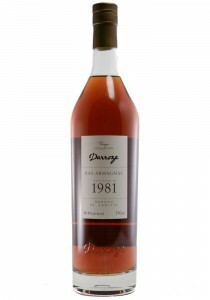 This was the original basis for the business: single vintage, cask-strength, single domain Armagnacs bottled to order. No additives are used for the Collection series, and none of these Armagnacs are ever blended. Each is marked with the month and year of bottling so that the buyer knows exactly how long the spirit rested in barrel (once bottled, the ageing process stops).